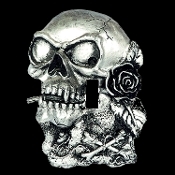 Gothic DIMENSIONAL SKULL LIGHT SWITCH COVER 3D Antiqued Silver Color Heavyweight Resin Switchplate with Metallic Painted Faux Pewter Finish Halloween Haunted House Teen Room Man Cave Decoration. Steampunk Biker Skeleton with a long-stemmed Rose in his teeth, ready to rock! 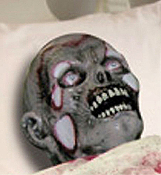 Life Size Realistic Walking Dead Gothic Gore Decor GHOUL CORPSE MORGUE BODY PARTS ZOMBIE DEATH BED HORROR-Scary Bloody Scene Halloween Prop Building Supplies-Haunted House Decorations-Creepy Graveyard Cemetery Bedroom Movie Scenery-Spooky Head hands feet spattered sheet. 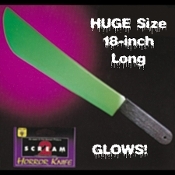 Huge Over-Size Comical JUMBO FAKE BUTCHER KNIFE Clown Toy with Gray Blade Haunted House Prop Jumbo Fake Novelty Plastic Weapon Horror Slasher Movie Chop Shop Theme LARP Cosplay Halloween Costume Accessory. Nearly 20-inches Long! 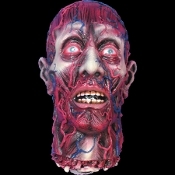 Fake Life Size Realistic Severed Human BLOODY SKINNED HEAD Decapitated Zombie Cut Off Body Part with Partial Neck and Exposed Flesh Veins Muscles. 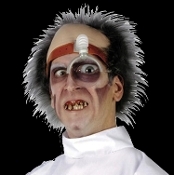 Dismembered Alive Halloween Horror Haunted House Walking Dead Mad Scientist Asylum Doctor Morgue Autopsy Scene Prop Decoration. 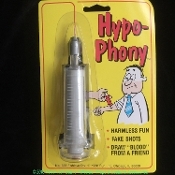 Funny Fake PHONY HYPO HYPODERMIC SYRINGE Comical Mad Scientist Doctor Nurse Zombie Apocalypse CDC Morgue Autopsy Alien Probe Cosplay Halloween Costume Prop Accessory Retracting Injection Needle Pretend to Draw Blood Classic Novelty Magic Trick Joke Gag - Original by Fun, Inc. 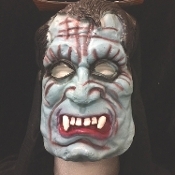 Plastic animated flying black bat toy with heavy paper wings and lifelike movement is a great prop for your haunted scene! Then turn it on and the eyes light up and it will flap its wings, continuously flying in smooth circles for you! 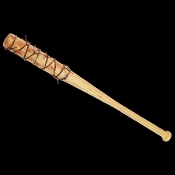 Funny ANIMATED BUMP and GO ZOMBIE around! 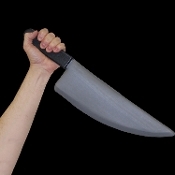 This creepy ankle biter moving decoration is sure to liven up any Halloween costume party! 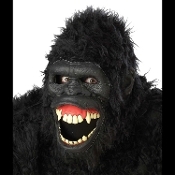 24-inch tall sound-activated roaming character haunted house prop featuring light-up eyes and frightening Zombie groaning sounds. This hilarious airblown inflatable costume can turn any adult into a big baby! 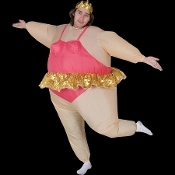 The funny full-body instant unisex costume fits most adults. 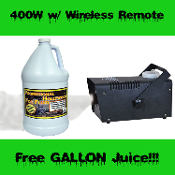 Includes self-inflating fan with battery pack required to fully inflate the costume for hours. Fits most adults 5-feet to 6-feet tall. 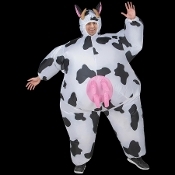 Hilarious Funny COMICAL COW COSTUME INFLATABLE FULL BODY COSTUME Bovine Farm Animal with Utters-Hysterical Airblown Gag Halloween Cosplay Easy Fun Instant Cosplay Costume Parade Party Entertainer Mascot-Unisex One Size with Self Inflation Fan. 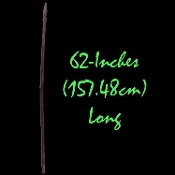 Fits most Adults 5 to 6-ft tall. 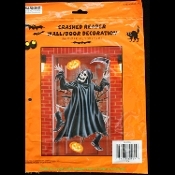 Funny Gothic Prop-CRASHED REAPER SKELETON DOOR COVER MURAL-Halloween Decoration Gag Gift Costume Party Window Wall Poster Decor-30x48 Haunted House Decoration Castle Dungeon Decor Prop Accessory. Plastic Black White Gray on Clear with Orange Jack-O-Lanterns. 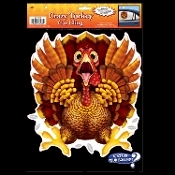 Funny CRAZY WILD TURKEY CAR CLING Backseat Window Decal Thanksgiving Christmas Holiday Bathroom Wall Hanging Birthday Party Decoration Locker Halloween Prop Decor. 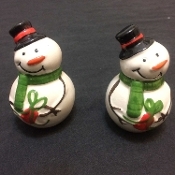 Hysterical party banquet event decoration! Whimsical gag traditional cartoon holiday bird running for his life! 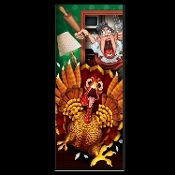 Funny CRAZY WILD TURKEY DOOR COVER POSTER MURAL Thanksgiving Christmas Holiday Bathroom Wall Hanging Birthday Party Decoration Locker Halloween Prop Decor. Hysterical party banquet event decoration! Whimsical gag mural traditional cartoon holiday bird running for his life!